Owner, lead designer and saucy critic of the status quo, Cheryl Kees Clendenon, DGD, has beenan influential presence in the design industry for over 18 years. 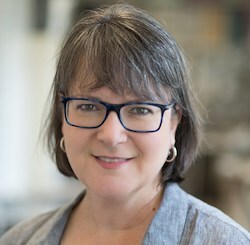 Her sharp wit, bold opinions, innovative designs and attention to detail has earned her national recognition and more design awards than any firm on the Gulf Coast. 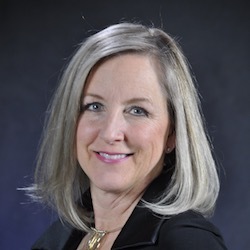 Cheryl and her firm have been published in over 60 consumer magazines and books and currently have a project on the cover of Kitchen and Bath Business magazine and in Traditional Home! Cheryl approaches each project from big to small with the same detail-oriented and fresh, unpredictable design aesthetic that has garnered her national attention. Clients, ranging from San Diego to the Jersey shore and all along the Gulf Coast, respect her confident and innovative solutions to the most challenging of design parameters as well as her outspoken irreverence. You can follow Cheryl on Instagram, Facebook, Twitter and Pinterest. 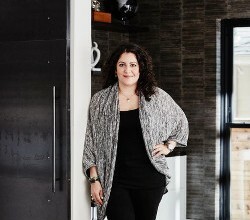 Claire Jefford began her Interior Decorating business, Creating Contrast Designs in 2011. This year Creating Contrast Designs was named one of the Top 30 Interior Design firms in Ontario by Point 2 Point Homes and Claire is especially proud to be the highest reviewed design professional in the GTA on the Houzz website, with over 75 reviews.Not one to shy away from Social Media, Claire began her own Youtube channel in January 2016 & has also been featured twice in videos created by local Toronto media company, Buzz Buzz Home. Claire recently created a free Facebook group, Interior Design Business Strategies, a community focusing on the business of design. 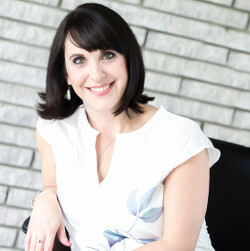 Her no-nonsense approach sees her sharing marketing ideas, processes for running a successful business and social media strategies to help others in the field to build confidence in how they work. 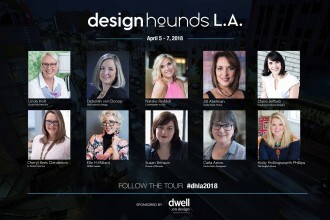 Follow Claire on Facebook, Instagram and Pinterest and stay tuned for all of Claire’s Facebook Live and YouTube posts throughout the Designhounds Tour. Deborah von Donop and her career range in the design industry is expansive, covering over 20 years and a wide variety of professional experiences and endeavors. Her current work as an Interior Designer and Decor Blogger keeps her involved in a variety of projects both as a freelance consultant and project designer. 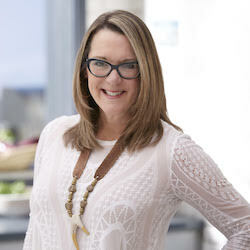 Deborah is the Editor and Founder of a national blog, dvdInteriorDesign, in Greenwich, CT, an online decor destination for design tips and updates on industry events for home, kitchen, and bath. ​Deborah is also the Editor and contributor to the online magazine, Blissfully Domestic, a community of writers and bloggers. She​ coordinates brand campaigns, provides social media management to businesses and is a guest writer for a variety of other sites including iBlog Magazine, National Organization of Professional Organizers, and more. 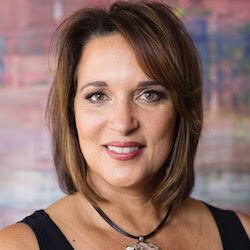 She writes weekly on design resources, interior design topics aimed to educate and inspire her readers and is a noted speaker at industry events. Check out her Facebook, Instagram, Twitter and Pinterest. 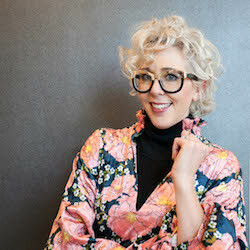 NKBA Insider and design expert Elle Millard, is a certified kitchen designer (CKD) and trend forecasting consultant and started her career pursing a Masters of Fine Art degree in sculpture at the University of the Arts, Philadelphia, where understanding the relationship between positive and negative space became more than a passion. She was quickly discovered by the industry, working as a restaurant designer for national brands, where her creations increased sales of design services by $5 million in a single year. Millard was one out of 11 cast to be on HGTV’s “Design Star” series, where she competed to host her own show, and was featured in Philadelphia Magazine Elegant Wedding for her innovative use of mundane materials to create wearable art at her own wedding. 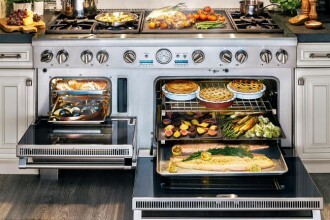 Today, she presents and participates in think-tank group discussions, creates kitchen and bath concepts for product development, and manages a team of industry professionals at the National Kitchen and Bath Association (NKBA). Follow her on Facebook, Instagram and Twitter. 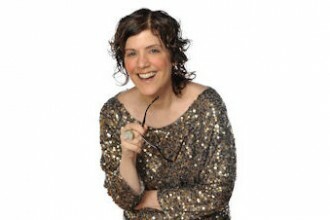 Jill Abelman is the designer and co-principal of Insidestyle based in Las Vegas. Jill has cultivated a fine tuned network of artisans, vendors and contractors to provide her clients with a stress free turnkey experience. Modern, elegant interiors with a splash of color and warm earthy elements are a hallmark of her work. Insidestyle has been featured on MarthaStewart.com, Luxury Las Vegas, Boulevards, Vegas Rated and Seven Magazine as “Downtown’s Organic Glamourist.” A never ending pile of books to read, traveling and spending time with her husband and two teenage daughters round out Jill’s recipe for joyful living. Follow along with Jill on Facebook, Instagram, Twitter and Pinterest. 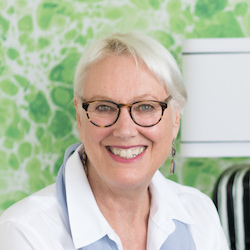 Linda Holt, of Linda Holt Creative, launched her interior design business in 2011 after a twenty five year career as one of Boston’s top commercial head shot photographers. Her past photography clients sought her out not only for her ability to make them look their very best but for her skill in having their personality shine through the lens. Today she applies those very same principles to designing rooms that not only look beautiful but reflect the unique personality of the homeowner and their family. Linda’s blog, “Focus on Creativity” is where she shares her two passions of photography and interior design. Over the past few years she has put aside her heavy DSLR cameras and now shoots exclusively with her iphone. She is currently working on an on-line class geared toward interior designers and creatives to help them get the best photos possible using their iphone. Linda is also a contributing writer on trends and design for Merrimack Valley Magazine. Follow Linda on Instagram, Facebook, Pinterest and Twitter. Natalie Reddell, Commander in Chic, is an interior designer and the social media queen behind The Golden Hashtag. 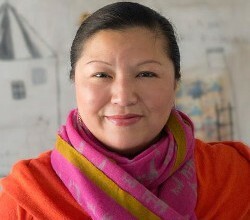 Natalie, a Florida-native, received her degree in interior design from Florida State University and studied the history of architecture and interiors at Parsons Paris. She now resides in Richmond, VA, with her husband and Cavalier King Charles Spaniel, Scarlett O’Hara. Her only son recently left for college, so Natalie keeps busy with her design projects and presence on Instagram @nataliereddell. She’s also on Twitter, Facebook and Pinterest. Follow her and The Golden Hashtag for humor, inspiration and all things fabulous! 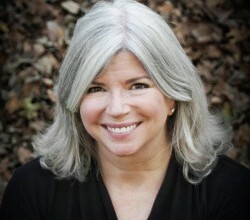 Susan Brinson is a photographer and content creator. She partners with her husband William to photograph food, interiors and lifestyle for a range of commercial clients. 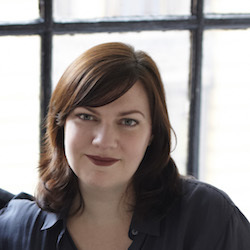 In addition, Susan is a content creator for a personal publication, House of Brinson. Susan and William blog and Instagram about their old home renovation, design, food and interiors. You can also follow along on Facebook, Twitter and Pinterest. 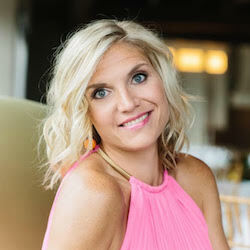 Holly Hollingsworth Phillips is a residential interior designer owner of The English Room, based in Charlotte, North Carolina. Holly’s style is elegant, eclectic and colorful. She has completed homes all over the east coast that have ranged from the super modern to very traditional while keeping it true to her style. She loves overseeing the design process from beginning to end. 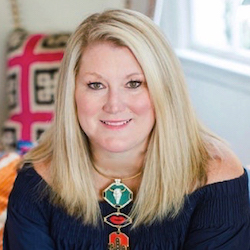 She has been featured in Southern Accents, Southern Living, Charlotte Magazine, QC Exclusive, Charlotte Design & Decor, Southpark Magazine and Better Homes and Gardens as well as online features in House Beautiful, Domino & Elle Decor. Follow Holly on Facebook, Instagram, Twitter and Pinterest.